Once I really understood that, it changed everything for me and my marketing on Facebook. 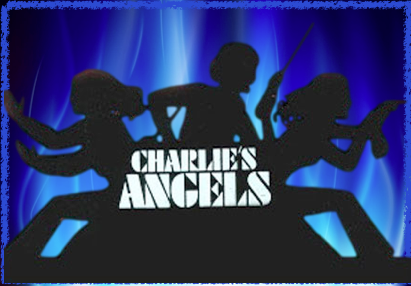 Charlie’s Angels logo property of Columbia/TRI-Star Pictures Television. 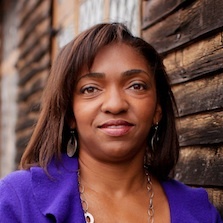 You hear a lot of advice about establishing your own personal brand. You tried to do it on Facebook. You build a personally branded fan page. Do you know that it takes millions and millions of dollars to create a brand? Or it can take years and tons of work. 1. People just like what they like. 2. Don’t try to change them. 3. Make it almost a reflex for them to like your stuff. The Angels go in stealth mode. They go in character. If the gentleman prefers blondes, he get Farah. If he likes them smart and sassy he gets, Sabrina. So how does that translate into Facebook marketing? Don’t go in like a cop in uniform with your notepad…asking a bunch of questions. Go in undercover. Under the radar. Keep reading to see what I mean. Have you tried Facebook ads and got almost no clicks? I bet the few that you got cost a fortune, like $.50 or $1.00 a piece. I grow my pages with likes that cost me $.02 or $.03 each. Because I make it easy for them to like my stuff – like a reflex. Have you tried to build a fan page and you wonder why no one came? Have you posted your best stuff from time to time and no one came? It’s because you didn’t really understand those 3 tips above. No one knows your unique brand. No one gets that catchy title that you gave your page. They don’t. And it would take a few minutes for you to explain. You don’t have a few minutes on Facebook. Think about it, on Facebook, you have a second or two to catch someone’s attention. They’re scrolling through their newsfeed. They’re looking for funny jokes, cool pics and puppies. They barely glance at the ads on the right hand side. When they do, you have to grab them. You have to make it almost a reflex for them to click on your ad. The rich bad guy always falls for the Angel because she’s his type. She’s exactly what he’s been looking for. He was into her before she ever showed up. So try this…think of popular brands, topics, celebrities, sports, etc that your product or service relates to. Yep. That would be my guess. She has a little dream going in her head to one day be like some of those ladies (in some way, hopefully not the crazy, cat-fighting way). Or at a minimum, she is probably some sort of demographic, like female, age 20-45, spends money on makeup, hair products, likes blah, blah, blah. You get it. X,Y, and Z are the things that they already know about. They love looking at them. They love talking about them. They can never get enough. And A, B, and C are the things that you want to sell. Like my husband never gets enough of talking about cars and motors and speed and Formula 1 racing. What if I sold tires or after market car parts? How valuable would a Facebook fan page with thousands of car fanatics be? You think they might buy a thing or two? You bet! You think they would stay involved instead of running away? Does a bear poo in the woods? 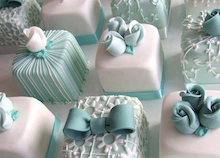 What about celebrity fashion and your jewelry business? What about celebrity fitness and your exercise programs or weight-loss shakes? What about hot celebs over 40 and your supplements or regimen? What about Real Housewives of Wherever and your jewelry. Some call it bridge marketing. I call it Charlies’ Angel – Stealth Mode Marketing. Just kidding. Let’s stick with bridge marketing. What could you use to build a “bridge” to your ideal target audience? Think about that and bookmark this page. When you’re tempted to just blast your personal page with business posts or to just start a “personal brand” page, come back and read this post again. If you’ll read Step 2: How to Increase Engagement on your Facebook Fan Page, you’ll see how to attract hundreds and thousands of your perfect target market and how to keep their attention. If you’ll read Step 3: How to Convert a Raving Fan in a Hot Lead on Facebook, you’ll start to turn fans into leads and then into customers. What are you waiting for…get on to Step 2. Helpppp! I need to set up a web site to sell jewelry.